With the news yesterday that Harvard Law School will join the pilot program of accepting the GRE for admissions, now is a good time to revisit the status of the GRE for business school admissions and the seemingly unstoppable expansion of the GRE into ever broader graduate admissions uses. For the purposes of law school admissions, our vice president and LSAT and GRE expert Jon Denning has a thorough run-down of what Harvard’s GRE decision might mean for law school applicants, but what about everyone else? What is the current status of the GRE in business school admissions, and how useful is it for MBA program applicants? Should prospective grad school students consider applying for an MBA program as well, if an MBA would align with their professional goals? Among programs for which data is available for both 2013 and 2016, if percent admitted with GRE scores exceeded 10% in 2013, GRE penetration was likely relatively unchanged. If percent admitted was below 10%, it frequently grew to exceed 10% but appears to have settled at what might be a normative threshhold/median for percent of students admitted with a GRE score. First, it is impossible to derive strong conclusions from a limited data set, but it merits noting that among the 2016 numbers, there appears to be something close to a standard distribution emerging around a mean of 15% admitted with GRE scores. Does this number suggest a quota or ceiling on applicants accepted with GRE scores? I would cautiously answer no. 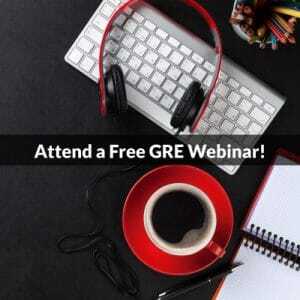 We’re still in the infancy of GRE adoption in business school admissions and these numbers might simply reflect the evolving body of business school applicants and the manner in which different schools are normalizing differences between GRE and GMAT scores. However, it is clear that so far, the GRE has far from supplanted the GMAT for business school and may be finding a niche as a test used to admit a subset of applicants. Further, these data do not specify how many of the GRE students may have also submitted a GMAT score. Therefore, there are no data here that specify how many students submitted and were accepted on the basis of a GRE score alone. No More Mincing Words! Which Test Should I Take? While I am overall in agreement with the consensus that the GRE is making inroads but the GMAT is still possibly preferable, I am even more firmly in the camp of test preparation professionals that would suggest exploring the GMAT before the GRE for business school admissions. How might you proceed? Analyze and diagnose your strengths and weaknesses. Consider your graduate school goals. If you have a marked aptitude for one test over the other, you should play to your strengths, even if that means going for the GRE alone for business school admissions. A strong performance on either test will outweigh the benefits either test might confer, if marred by a weaker performance. If you’re undecided about business school or graduate school, the GRE presents an attractive and compelling alternative to the GMAT or to preparing for both. There are of course many areas in which we could explore similarities and differences between these tests in more detail, but I hope this post has provided a broad overview of the utility and function of these tests in business school admissions today. 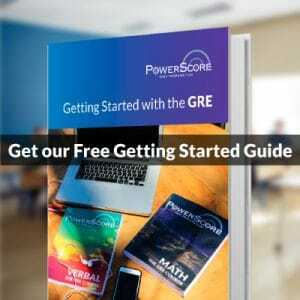 If you wish to pursue GRE preparation with PowerScore, I encourage you to explore our range of class, tutoring, or self study options. If you are ready to move forward with your GMAT preparation, we have an equally strong array of options for GMAT students. If you have questions, please comment below or join us on Facebook and Twitter!